In light of recent discoveries regarding the usage of RGSS3 in RPG Maker XP games, many users were left with a dilemma in choosing which Tilemap rewrite to use due to the vast differences between RGSS1's and RGSS3's Tilemap classes that would cause complications in this transition. I aimed to find the best Tilemap rewrite and decided that I would have to make my own. Like every other Tilemap rewrite before it, this implementation is in no ways perfect, boasting PROs and CONs. 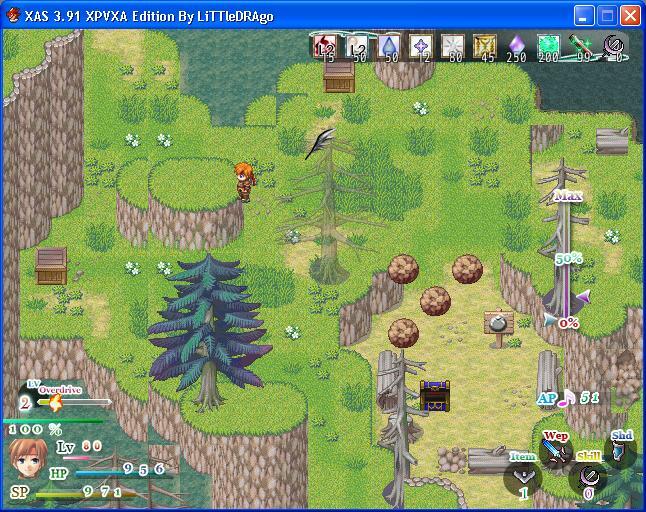 This script is intended to be used for RPG Maker XP games using the RGSS3 library (unofficially coined RPG Maker XP Ace); however, it is entirely compatible with RPG Maker XP games in the RGSS1 library. The script is still in its infancy. Thorough testing has not been conducted. Posting your observations would be greatly appreciated. 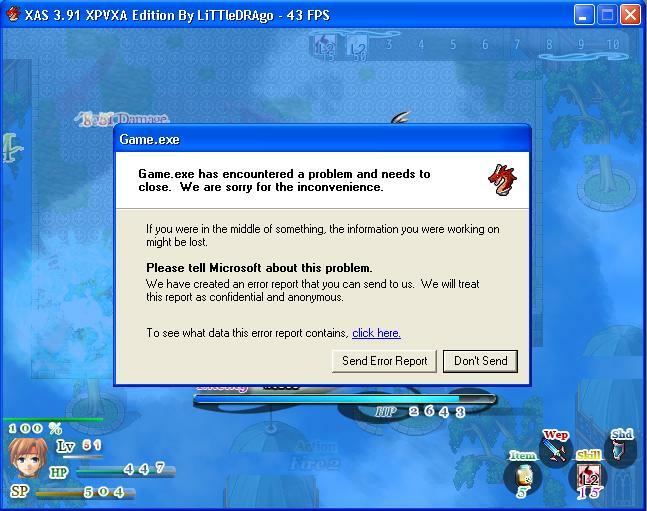 Users have reported Screen Flash to not work in their XPA games which I have yet to reproduce. It is unclear if my Tilemap script is causing the incompatibility or its the change in logic in RGSS3. Transitions for larger resolutions are not supported as of yet, but a default fade-in/out exists. Consider using a transitions script. I still have not thoroughly tested v0.3+ in XP so please advise that there may be potential bugs. 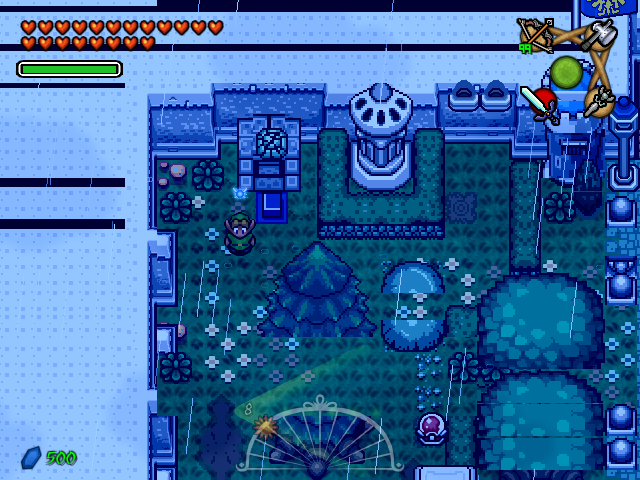 Screen Tone changes can lower the FPS of your game if using a larger resolution. This is further amplified if your tone uses a Gray value greater than 0. Tone changes are an expensive post-processing operation. Remember that RGSS was designed with 640x480 in mind--performance was built around that size. Most scripts were designed with a resolution of 640x480 in mind. Here are a collection of fixes to address some of the more popular scripts like Blizz-ABS. You will need to replace all instances of SCREEN with SCREEN_RESOLUTION. I would appreciate it if you, the user, would be able to test this script for compatibility issues. This is a side-project of mine that I would like to see evolve over time. If you have any suggestions as well, post them. Looking forward to seeing this improve. Still setting up all the software and whatnot on my computer, RPG Maker is one of them not installed. I'll leave some feedback as soon as I can both XP and Ace running. Other than just making it a bit more compatible, I'm not sure if there is a way to make it "faster". I've tried different approaches and this was the best I could manage. Anything else and we lose basic design features. Or if someone knew how to use a better graphics library in conjunction with RPG Maker, I'd love to hear. Otherwise, we'll have to wait for ARC or RPG.NET. I am liking this Tilemap implementation though. 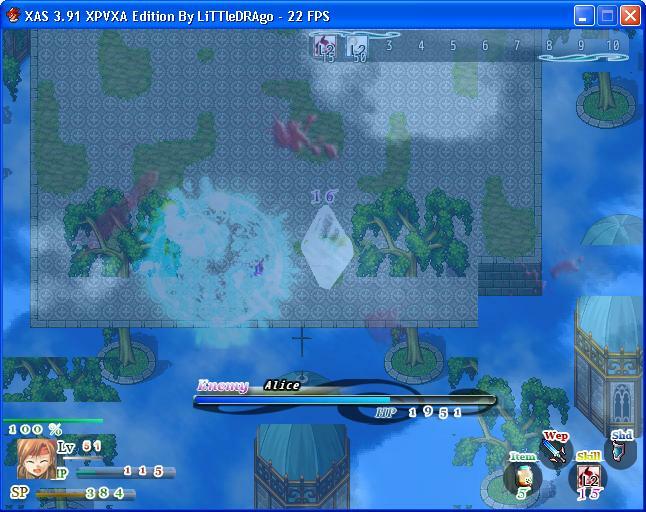 Switching out Custom Resolution v96 for this in Advance Wars Engine brought the FPS back to 60. And I can still create multiple Tilemap objects and still maintain that 60 if I only use 1 level of priority, which it really is all it needs. Transitions are going to be tricky. It seems they only apply to a 1024x768 area in XPA (and probably still 640x480 in XP, iirc). Tried importing a Transitions script, but it didn't help cover an area of 1200x800. Still bug squashing as well. Zex said screen flash doesn't work, but I don't see what's wrong. I don't really understand how transitions work so I can't really help you there. I myself may still end up trying to do a tilemap used the Tiled map editor. Already have a decent idea on how to tackle it. I'll obviously have to rely on Ace for this since XP/VX parse JSON or XML far too slowly, though I suppose I could always do a one time parse and convert it to Ruby format. If we could actually draw on top of the window I might be able to do something. Would you like to give me that demo? I spent a good number of days trying to perfect screen shaking. You sure it's not something to do with floats in the equations? Animation/effects of...what? More specific please. I don't see how that could cause the Tilemap to crash. I can confirm that it has something to do with XAS, but we all know how much of a nightmare that battle system is to navigate through. $game_screen.start_shake(5,10,200)and proceeded to walk up and down to force vertical screen scrolling. 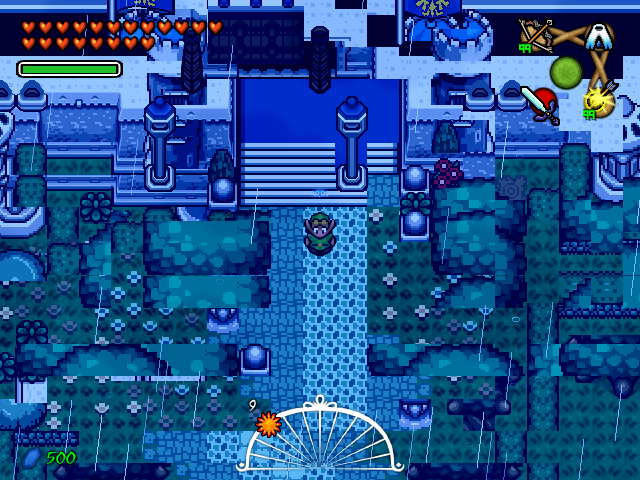 In XAS, I could get the disjointed tilemap in the pictures. In a clean project, I can't get it to happen. Okay, it seems to be happening when along the map's edges. Performing a shake in the middle of the map wasn't doing anything. Well, I placed in the current collaboration I'm working on, and it flows very smoothly. I like it! Great job KK! Now to update the XPA download package with this..
Did you try doing what I last said? Also need to explain how to define custom autotile graphics. I'll probably have a different method when I get around to finalizing this. Anyways, for you smart people, you know how you can see the autotile patterns by double clicking an autotile in your tile palette and how it creates a window of 8x6 tiles? You have to make your autotile look like that. It won't look as pretty in the editor though, so I was thinking of putting like a keyword in the filename for the script to find and replace it with in-game. In regards to the tilemap specifically, do you know off the top of your head what the maximum number of specific auto-tile custom update rules are that it accepts before it starts to lag a little bit? I haven't had any issues yet, but, I'm thinking about also releasing a preliminary "demo" of the game as a starter kit of sorts (think similar to the harvest moon, or zelda starter kits) and I would love to be able to include as much detail as is possible about all aspects of the kit within the documentation I would provide with it. Think I can take a look at your Scripts.rxdata? I mainly want to check for anything that changes Tilemap.ox and .oy since that is really the only explanation for such an effect to take place. What FPS were you getting before and with what Tilemap? I'd think that XAS, like BlizzABS, is process heavy and is prone to number-crunching lag regardless of the Tilemap rewrite chosen. Drago, I cannot seem to replicate the effect where the upper layers are drawn higher than they should be. I need to know the specifics of what you are doing and what is happening. Phoenix, as a general pointer, having the autotiles update with very few frames in between causes more calls to the DLL and, in general, more lag. As for the custom autotile graphics, there shouldn't be any problem with lag in that department. Of course having 20 frame autotile animations everywhere would probably take up a good chunk of RAM. Also, while messing around in Advance Wars Engine, changing the Sprite#color of the tilemap dropped the frame rate significantly (almost 20FPS drop), and this was just a 640x480 resolution with 1 priority layer. My suspicion was correct: it's float values modifying the Tilemap#ox/oy. Can't do that since I'm relying on those values to move the sprites that are drawing the tilemap. I have a feeling that, for both of you guys, the pixel movement system you are using is causing this. Anyways, you can try converting the ox and oy values being passed into integers and see if that works.